Thie Banacek TV show was a 90 minute detective action series on NBC about a "hip" Polish-American private detective. He used his crime-solving abilities to find stolen property for which he received large rewards from insurance companies. Thomas Banacek was very successful at his job. He was able to own a home in the ritsy Beacon Hills section of Boston, Massachucetts! 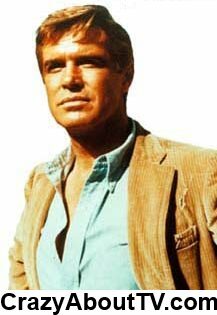 The cigars that George Peppard smoked on Banacek were Panatelas from Club 21 in New York City. He had smoked the same cigars as Hannibal Smith on "The A-Team". He eventually gave up smoking in 1992 after having a tumor removed from one of his lungs. The Banacek TV show was one element of the NBC Mystery Movie series. It shared its timeslot with other popular mystery series including "Columbo", "McCloud", "McMillan And Wife", and "Quincy M.E." George also stopped drinking alcohol in 1978 after concluding he was an alcoholic. He became very active in helping other alcoholics stop drinking and also got involved in several other charitable organizations. Mr. Peppard was actually hired to play the role of Blake Carrington on the series, "Dynasty". After a series of disagreements with producers, he was fired and John Forsythe got the role. George Peppard also made no secret of the fact that he was thrilled when the TV series, "The A-Team (1983)" was canceled. He feared that the show would go on forever! The series won an award from the "Polish-American Congress" for positively portraying a Polish-American on television. Banacek (3/20/1972) - As a segment on NBC's "Wednesday Mystery Movie". Thank you for visiting our Banacek page!